Adams, Robert N. (December 28, 2018). "Japanese Developers Vote Spider-Man PS4 Game of the Year". Game Revolution. Archived from the original on January 29, 2018. Retrieved January 29, 2018. Ahern, Colm (September 4, 2018). "Spider-Man Review". VideoGamer.com. Archived from the original on September 22, 2018. Retrieved September 4, 2018. Aidan, Simonds (October 9, 2018). "Marvel's Spider-Man Is Breaking Sales Records in Japan". PlayStation Lifestyle. CraveOnline. Archived from the original on October 11, 2018. Retrieved October 11, 2018. Andronico, Michael (October 26, 2018). "Golden Joystick Awards: Vote for Ultimate Game of the Year". Tom's Guide. Archived from the original on November 14, 2018. Retrieved November 14, 2018. Arif, Shabana (September 10, 2018). "Marvel's Spider-Man: Insomniac Offers To Remove The World's 'Saddest Easter Egg'". IGN. Archived from the original on January 24, 2019. Retrieved January 24, 2019. "Your 2018 Winners". Australian Games Awards. December 19, 2018. Archived from the original on January 12, 2019. Retrieved January 3, 2018. Bankhurst, Adam (July 30, 2018). "Marvel'S Spider-Man For PS4 Is Officially Complete". IGN. Archived from the original on January 16, 2019. Retrieved January 16, 2019. Barker, Sammy (October 10, 2018). "PlayStation Store Sales Charts: Spider-Man PS4 Swings By". Push Square. Eurogamer. Archived from the original on October 11, 2018. Retrieved October 11, 2018. Barnett, Brian (September 10, 2018). "How Insomniac'S Spider-Man Came To Be - IGN Unfiltered". IGN. Archived from the original on January 17, 2019. Retrieved January 17, 2019. Becht, Eli (September 9, 2018). "How to Earn Base Tokens in Spider-Man PS4". Heavy.com. Archived from the original on January 2, 2019. Retrieved January 2, 2019. Beer, Jeff (September 6, 2018). "Sony PlayStation uses a blockbuster ad strategy for new Spider-Man game". Fast Company. Archived from the original on October 20, 2018. Retrieved October 20, 2018. Blumenthal, Eli (September 20, 2018). "Marvel's 'Spider-Man' for PlayStation 4 swings to a record-breaking opening". USA Today. Archived from the original on October 5, 2018. Retrieved September 20, 2018. Brown, Josh (September 7, 2018). "Spider-Man PS4 Voice Actors: Who is the Cast?". Game Revolution. Archived from the original on October 5, 2018. Retrieved October 5, 2018. Carter, Justin (November 15, 2018). "A guide to Spider-Man PS4's many costumes, and their comic roots". Polygon. Archived from the original on September 16, 2018. Retrieved November 23, 2018. Carter, Chris (January 7, 2019). "Spider-Man has some pretty great names for its difficulty settings". Destructoid. Archived from the original on January 8, 2019. Retrieved January 8, 2019. Carter, Chris. "Review: Spider-Man". Destructoid. Archived from the original on September 22, 2018. Retrieved September 5, 2018. Chapman, Tom. "Into the Spider-Verse Trailer Has Spider-Man PS4 Costume Easter Egg". Screen Rant. Archived from the original on October 3, 2018. Retrieved October 3, 2018. Crecente, Brian (October 24, 2018). "'Marvel's Spider-Man' Shatters PlayStation, Spider-Man Records". Variety. Archived from the original on February 2, 2019. Retrieved February 2, 2019. Croshaw, Ben "Yahtzee" (January 2, 2019). "2018's Best Worst and Blandest". The Escapist. Archived from the original on January 3, 2019. Retrieved January 3, 2019. Dan, Grayson (September 5, 2018). "Marvel's Spider-Man Review". Gameplanet. Archived from the original on September 5, 2018. Retrieved September 5, 2018. Dealessandri, Marie (October 4, 2018). "Monthly charts: FIFA 19 takes the crown but Spider-Man is the real king". MCV. Archived from the original on January 26, 2019. Retrieved January 26, 2019. Dealessandri, Marie (September 25, 2018). "Spider-Man still on top of the world". MCV. Archived from the original on January 26, 2019. Retrieved January 26, 2019. Dealessandri, Marie (January 3, 2019). "UK physical market down in 2018, Switch sales surge". MCV. Archived from the original on January 26, 2019. Retrieved January 26, 2019. Dedmon, Tanner. "Marvel's Spider-Man gets Official Comic Book Spin-off". ComicBook.com. Archived from the original on December 26, 2018. Retrieved December 17, 2018. Delahunty-Light, Zoe. "31 Spider-Man PS4 easter eggs and tiny details you might have missed". GamesRadar+. Archived from the original on January 27, 2019. Retrieved September 6, 2018. Dornbush, Jonathon (April 4, 2018). "Marvel's Spider-Man Gameplay, Story Details Revealed". IGN. Archived from the original on April 8, 2018. Retrieved April 7, 2018. Dornbush, Jonathon (September 7, 2018). "Why Marvel's Spider-Man's Photo Mode Is So Great". IGN. Archived from the original on January 24, 2019. Retrieved January 24, 2019. Dornbush, Jonathon (September 4, 2018). "Spider-Man PS4 Review". IGN. Archived from the original on September 22, 2018. Retrieved September 4, 2018. Dring, Christopher (September 9, 2018). "UK charts: Spider-Man is fastest-selling game of the year". GamesIndustry.biz. Eurogamer. Archived from the original on January 26, 2019. Retrieved January 26, 2019. "EGM's Best of 2018 Part Five: #5 ~ #1". Electronic Gaming Monthly. January 1, 2019. Archived from the original on January 30, 2019. Retrieved January 30, 2019. Erskine, Donovan (October 23, 2018). "Marvel's Spider-Man: The Heist impressions - Hi Felicia!". Shacknews. Archived from the original on October 24, 2018. Retrieved October 24, 2018. "The 30 best games of 2018". Eurogamer. December 30, 2018. Archived from the original on February 1, 2019. Retrieved February 1, 2019. Faulkner, Jason (September 4, 2018). "Spider-Man PS4 Review – My Spidey-Senses Are Tingling". Game Revolution. CraveOnline. Archived from the original on September 22, 2018. Retrieved September 4, 2018. Fischer, Tyler (February 1, 2019). "Marvel Originally Vetoed Major 'Spider-Man' PS4 Death". ComicBook.com. Archived from the original on February 4, 2019. Retrieved February 4, 2019. Fitzpatrick, Alex; Dockterman, Eliana; Austin, Patrick Lucas (November 16, 2018). "The 10 Best Video Games of 2018". Time. Archived from the original on January 30, 2019. Retrieved January 30, 2019. Flores, Terry (December 3, 2018). "'Incredibles 2,' 'Ralph Breaks the Internet' Top Annie Awards Nominations". Variety. Archived from the original on December 18, 2018. Retrieved December 7, 2018. Fogel, Stefanie (September 6, 2018). "Insomniac Talks About The Tech Behind 'Spider-Man's' Satisfying Swing". Variety. Archived from the original on January 18, 2019. Retrieved January 18, 2019. Fogel, Stefanie (March 14, 2019). "'God of War,' 'Red Dead 2' Lead BAFTA Game Awards Nominations". Variety. Retrieved March 14, 2019. Fogel, Stefanie (March 21, 2019). "'God of War' Wins Six G.A.N.G. Awards, Including Audio of the Year". Variety. Retrieved March 22, 2019. Gach, Ethan (October 23, 2018). "Spider-Man's Heist DLC Is Fun But Familiar". Kotaku. Archived from the original on October 24, 2018. Retrieved October 24, 2018. "2018 Gamers' Choice Awards". Gamers' Choice Awards. December 9, 2018. Archived from the original on January 3, 2019. Retrieved January 3, 2018. Good, Owen S. (January 4, 2019). "Red Dead Redemption 2 tops list of Game Developers Choice nominees". Polygon. Archived from the original on January 5, 2019. Retrieved January 6, 2019. Grant, Christopher (December 6, 2018). "The Game Awards 2018: Here are all the winners". Polygon. Archived from the original on December 7, 2018. Retrieved December 7, 2018. Green, Jake (December 18, 2018). "Spider Man PS4 Miles Morales - Can You Play as Miles Morales?". USGamer. Archived from the original on January 15, 2019. Retrieved January 15, 2019. Green, Jake (December 18, 2018). "Spider Man PS4 Combat Tips, Fighting Guide". USGamer. Archived from the original on January 15, 2019. Retrieved January 15, 2019. Green, Jake (June 15, 2018). "Spider-Man PS4 Release Date, E3 2018 Gameplay, Hands-On Preview Impressions, Sinister Six Villains - Everything We Know". USgamer. Archived from the original on June 18, 2018. Retrieved June 20, 2018. Harmon, Josh. "Marvel's Spider-Man review". EGMNOW. Archived from the original on September 22, 2018. Retrieved September 5, 2018. Hawkins, Josh (September 2018). "How to Get Crime Tokens in Spider-Man". Prima Games. Archived from the original on January 2, 2019. Retrieved January 2, 2019. "2018 Music in Visual Media Nominations". Hollywood Music in Media Awards. Archived from the original on October 17, 2018. Retrieved November 14, 2018. "2018 HMMA WINNERS". Hollywood Music in Media Awards. November 14, 2018. Archived from the original on November 15, 2018. Retrieved November 15, 2018. Hoggins, Tom (October 27, 2017). "Public voting and the nominations for the 2017 Golden Joystick Awards are now up". The Daily Telegraph. Archived from the original on November 18, 2017. Retrieved January 26, 2019. Hoggins, Tom (September 24, 2018). "Golden Joysticks 2018 nominees announced, voting open now". The Daily Telegraph. Archived from the original on October 11, 2018. Retrieved October 6, 2018. Hoggins, Tom (December 18, 2018). "Games of 2018: Marvel's Spider-Man was a super-powered swinging treat". The Daily Telegraph. Archived from the original on January 30, 2019. Retrieved January 30, 2019. Hurley, Leon. "MARVEL'S SPIDER-MAN REVIEW: "ABOUT AS GOOD AS SUPERHERO GAMING GETS"". GamesRadar+. Archived from the original on September 22, 2018. Retrieved September 5, 2018. Intihar, Bryan (October 30, 2017). "Marvel's Spider-Man: New Trailer Features Aunt May, MJ & More". PlayStation Blog. PlayStation. Archived from the original on January 15, 2019. Retrieved January 15, 2019. Kain, Erik (September 6, 2018). "'Spider-Man' (2018) PS4 Review: The Good, The Bad And The Spidey". Forbes. Archived from the original on January 15, 2019. Retrieved January 15, 2019. Keyes, Rob (January 3, 2019). "2018 New York Game Awards Nominees Revealed". Screen Rant. Archived from the original on January 5, 2019. Retrieved January 5, 2019. Khan, Zarmena (September 15, 2018). "Insomniac Games Wants to Keep Players Engaged in Its Spider-Man Universe". PlayStation Lifestyle. CraveOnline. Archived from the original on January 26, 2019. Retrieved January 26, 2019. Khan, Zarmena (March 17, 2019). "God of War Takes Home 'Game of the Year' at SXSW 2019 Gaming Awards". PlayStation LifeStyle. CraveOnline. Retrieved March 17, 2019. Kuchera, Ben (September 12, 2018). "Spider-Man on the PS4 is a great example of AAA development working at its best". Polygon. Archived from the original on January 16, 2019. Retrieved January 16, 2019. Kuchera, Ben (December 11, 2018). "GOTY 2018: #9 Marvel's Spider-Man". Polygon. Archived from the original on January 29, 2019. Retrieved January 29, 2019. Lagumbay, Emmanuel (February 14, 2019). "2019 G.A.N.G. Awards Finalists". Game Audio Network Guild. Retrieved February 16, 2019. Leane, Rob (August 8, 2018). "Spider-Man PS4: spoilery secrets from the Hostile Takeover prequel novel". DenofGeek!. Dennis Publishing. Archived from the original on October 17, 2018. Retrieved October 17, 2018. Leonard, Matt (September 7, 2018). "Spider-Man PS4 Goes All Out with Massive NFL Commercial". Game Revolution. Archived from the original on October 20, 2018. Retrieved October 20, 2018. Loureiro, Jorge (July 7, 2018). "Spider-Man: Erica Lindbeck to be Black Cat at DLC The City That Never Sleeps". Eurogamer (in French). Archived from the original on October 3, 2018. Retrieved October 3, 2018. Loveridge, Sam (September 15, 2016). "Golden Joystick Awards 2016 voting now open to the public". Digital Spy. Archived from the original on February 28, 2017. Retrieved October 6, 2018. Macy, Seth G. (September 6, 2018). "Complete Guide To Spider-Man's Preorder Bonuses". IGN. Archived from the original on October 17, 2018. Retrieved October 17, 2018. Makedonski, Brett (August 5, 2018). "Spider-Man has some pretty great names for its difficulty settings". Destructoid. Archived from the original on January 8, 2019. Retrieved January 8, 2019. Makuch, Eddie (January 9, 2019). "PS4 Continues To Enjoy Great Success; Spider-Man Up To 9 Million Sold". GameSpot. Archived from the original on January 12, 2019. Retrieved January 11, 2019. Makuch, Eddie (December 8, 2017). "The Game Awards 2017 Winners Headlined By Zelda: Breath Of The Wild's Game Of The Year". GameSpot. Archived from the original on December 9, 2017. Retrieved October 6, 2018. Makuch, Eddie (January 10, 2019). "God Of War, Spider-Man Lead DICE Awards; Here's All The Nominees". GameSpot. Archived from the original on January 11, 2019. Retrieved January 11, 2019. Marnell, Blair (September 10, 2018). "Spider-Man PS4 Writers Explain the Changes to Spidey, MJ's Job, Doc Ock, and More". Syfy. Archived from the original on September 13, 2018. Retrieved October 3, 2018. Massongill, Justin (September 6, 2018). "Insomniac Interview: The Tech Behind Marvel's Spider-Man". PlayStation Blog. PlayStation. Archived from the original on January 17, 2019. Retrieved January 17, 2019. Mathew, Adam (November 1, 2017). "How deep is Insomniac's PS4 Spider-sensibility?". Red Bull. Archived from the original on January 16, 2019. Retrieved January 16, 2019. "Marvel's Spider-Man for PlayStation 4 Reviews". Metacritic. Archived from the original on September 22, 2018. Retrieved September 4, 2018. McWhertor, Michael (February 14, 2019). "God of War wins big at DICE Awards 2019". Polygon. Mejia, Ozzie (December 31, 2018). "Shacknews Game of the Year 2018 - Marvel's Spider-Man". Shacknews. Archived from the original on January 29, 2019. Retrieved January 29, 2019. Minotti, Mike. "Marvel's Spider-Man review — Spidey's best game yet". VentureBeat. Archived from the original on September 5, 2018. Retrieved September 5, 2018. Mithaiwala, Mansoor (September 6, 2018). "Marvel's Spider-Man PS4 Ending Explained". Screen Rant. Valnet Inc. Archived from the original on September 7, 2018. Retrieved September 7, 2018. Muncy, Julie (December 30, 2018). "The 10 Best Games Of 2018—And Yes, They'Re Ranked". Wired. Archived from the original on January 29, 2019. Retrieved January 29, 2019. "Nominee List for 2018". National Academy of Video Game Trade Reviewers. February 11, 2019. Retrieved February 12, 2019. "Winner list for 2018: God of War breaks record". National Academy of Video Game Trade Reviewers. March 13, 2019. Retrieved March 13, 2019. Nelva, Giuseppe. "Marvel's Spider-Man Review — Insomiac Games' Masterpiece Is Amazing". Dualshockers. Archived from the original on September 4, 2018. Retrieved September 5, 2018. Newton, Casey (December 19, 2018). "Why Spider-Man is my game of the year". The Verge. Archived from the original on January 29, 2019. Retrieved January 29, 2019. O'Connor, James (June 14, 2016). "Insomniac Games is making a Spider-Man game". VG247. Archived from the original on November 16, 2018. Retrieved January 17, 2019. Parkin, Jeffrey (September 12, 2018). "Spider-Man PS4 fighting guide". Polygon. Archived from the original on January 5, 2019. Retrieved January 5, 2019. Parkin, Jeffrey (September 12, 2018). "How to take a selfie in Spider-Man PS4". Polygon. Archived from the original on January 24, 2019. Retrieved January 24, 2019. Pavlovic, Uros (September 12, 2018). "Japanese Sales Chart: Spidey Swings to the Top". PlayStation Lifestyle. CraveOnline. Archived from the original on October 11, 2018. Retrieved October 11, 2018. Phillips, Tom (September 10, 2018). "Spider-Man PS4 is the fastest-selling game of the year so far". Eurogamer. Archived from the original on September 10, 2018. Retrieved September 10, 2018. Plante, Chris (June 12, 2018). "How Spider-Man PS4's New York City compares to the real thing". Polygon. Archived from the original on June 15, 2018. Retrieved January 1, 2019. Polo, Susana (June 15, 2018). "Video game Spider-Man will enter Marvel Comics canon this fall". Polygon. Archived from the original on January 25, 2019. Retrieved June 19, 2018. Polo, Susana (October 25, 2018). "Spider-Man PS4's new DLC makes some changes to the original Black Cat". Polygon. Archived from the original on November 6, 2018. Retrieved November 24, 2018. Polo, Susana (April 17, 2018). "Insomniac's Spider-Man will swing into action early in prequel novel". Polygon. Archived from the original on January 25, 2019. Retrieved January 25, 2019. Ramée, Jordan (October 19, 2018). "Spider-Man PS4 Gets New Game Plus And Ultimate Difficulty; Here Are The Full Patch Notes". Gamespot. Archived from the original on January 8, 2019. Retrieved January 8, 2019. Ramée, Jordan (October 23, 2018). "PS4's Spider-Man The Heist DLC: Just How Long Is It?". GameSpot. Archived from the original on October 24, 2018. Retrieved October 24, 2018. Ramée, Jordan (August 15, 2018). "Gamescom 2018: Award Nominees Include Marvel's Spider-Man, Assassin's Creed Odyssey, And More". GameSpot. Archived from the original on August 17, 2018. Retrieved August 19, 2018. Ramsey, Robert (September 26, 2018). "Japanese Sales Charts: Spider-Man PS4 Spends Third Week Straight at the Top". Push Square. Eurogamer. Archived from the original on January 26, 2019. Retrieved January 26, 2019. Reed, Chris (September 11, 2018). "Marvel's Spider-Man PS4 Special Editions And Release Date Guide (US Only)". GameSpot. Archived from the original on October 17, 2018. Retrieved October 17, 2018. Reiner, Andrew (September 4, 2018). "Spider-Man Review - Spinning An Amazing Web". Game Informer. GameStop. Archived from the original on September 22, 2018. Retrieved September 4, 2018. Ridgeley, Charlie (October 1, 2018). "'Spider-Man: Into the Spider-Verse' Debuts Major Change to Scorpion". comicbook.com. Archived from the original on October 6, 2018. Retrieved October 6, 2018. Ruppert, Liana (April 4, 2018). "Spider-Man PS4 Lead Voice Actor Almost Rejected by Insomniac". comicbook.com. Archived from the original on January 22, 2019. Retrieved January 22, 2019. Salazar-Moreno, Quibian (September 28, 2018). "Interview: Yuri Lowenthal On Being The Voice Of Spider-Man And His New Show, Orbital Redux". GameCrate.com. Newegg. Archived from the original on January 23, 2019. Retrieved January 23, 2019. Santangelo, Nick (December 13, 2018). "Marvel's Spider-Man'S Final DLC, Silver Linings, Available Next Week". IGN. Archived from the original on December 13, 2018. Retrieved December 13, 2018. Santangelo, Nick (August 30, 2018). "Spider-Man Fans Are Arguing About Puddle Sizes". IGN. Archived from the original on January 24, 2019. Retrieved January 24, 2019. Santangelo, Nick. "SPIDER-MAN IS THE FASTEST-SELLING GAME OF THE YEAR IN THE UK". IGN. Retrieved September 10, 2018. Saveedra, John (September 11, 2018). "Spider-Man PS4: New Spidey Costume Explained". DenofGeek!. Dennis Publishing. Archived from the original on January 16, 2019. Retrieved January 16, 2019. Schreier, Jason (December 20, 2018). "Surprise: The 'Sam Raimi' Suit Is Now In Spider-Man PS4". Kotaku. Archived from the original on December 21, 2018. Retrieved January 1, 2019. Serrels, Mark (August 20, 2018). "Spider-Man has an actual, literal hype train in New York City". CNET. Archived from the original on October 20, 2018. Retrieved October 20, 2018. Shanley, Patrick (September 4, 2018). "'Marvel's Spider-Man': Game Review". The Hollywood Reporter. Archived from the original on September 26, 2018. Retrieved September 26, 2018. Sinclair, Brenden (June 15, 2016). "Spider-Man leads Marvel's "epic" new console strategy". GamesIndustry.biz. Eurogamer. Archived from the original on June 18, 2016. Retrieved January 17, 2019. "Spider-Man (Spider-Punk) Suit". Sideshow Collectibles. 2018. Archived from the original on October 21, 2018. Retrieved October 21, 2018. Smith, Ryan (October 16, 2018). "Marvel's Spider-Man: The Heist Out Next Tuesday, Adds 3 New Suits". PlayStation Blog. Archived from the original on October 18, 2018. Retrieved October 24, 2018. Smith, Ryan (November 13, 2018). "Marvel's Spider-Man: The Heist Out Next Tuesday, Adds 3 New Suits". PlayStation Blog. Archived from the original on October 18, 2018. Retrieved November 23, 2018. Stark, Chelsea (September 7, 2018). "Spider-Man's post-credits scenes set us up for a sequel perfectly". Polygon. Archived from the original on October 5, 2018. Retrieved October 5, 2018. Stevens, Colin (December 17, 2018). "Spider-Man PS4 Gets His Own Marvel Comic". IGN. Archived from the original on January 19, 2019. Retrieved January 19, 2019. Stevenson, James (September 7, 2018). "Marvel's Spider-Man Swings to PS4 September 7, Collector's & Digital Deluxe Editions Detailed". PlayStation Blog. Archived from the original on April 4, 2018. Retrieved October 5, 2018. Stone, Sam (September 3, 2018). "Black Cat Arrives in Spider-Man PS4 'The Heist' Trailer". Comic Book Resources. Archived from the original on October 2, 2018. Retrieved October 2, 2018. Tailby, Stephen (December 30, 2018). 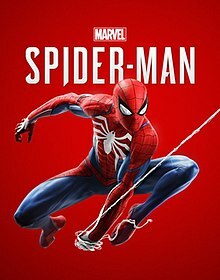 "Game of the Year 2018: #3 - Marvel's Spider-Man". Push Square. Eurogamer. Archived from the original on January 29, 2019. Retrieved January 29, 2019. Tapley, Kristopher (January 15, 2019). "Avengers,' 'Lost in Space,' 'Ready Player One' Lead Visual Effects Society Nominations". Variety. Retrieved January 17, 2019. Tapsell, Chris (September 19, 2018). "Spider-Man Challenge Tokens explained - how to Complete Taskmaster Challenges and earn Ultimate Level score". Eurogamer. Archived from the original on January 2, 2019. Retrieved January 2, 2019. Tapsell, Chris (September 19, 2018). "Spider-Man Backpack Tokens explained - how to find Backpacks". Eurogamer. Archived from the original on January 2, 2019. Retrieved January 2, 2019. Tapsell, Chris (September 19, 2018). "Spider-Man Research Tokens explained - how to complete Research Stations, Circuit Projects and catch Pigeons". Eurogamer. Archived from the original on January 2, 2019. Retrieved January 2, 2019. Tapsell, Chris (September 19, 2018). "Spider-Man Landmark Tokens and Secret Photo locations - how to get Landmark Tokens explained". Eurogamer. Archived from the original on January 2, 2019. Retrieved January 2, 2019. Tapsell, Chris (September 19, 2018). "Spider-Man Circuit Puzzle and Pattern Puzzle solutions - Octavius Lab puzzle solutions, A Bit of a Fixer Upper trophy, and how to get the correct Target Voltage". Eurogamer. Archived from the original on January 15, 2019. Retrieved January 15, 2019. Tran, Edmond (September 4, 2018). "Spider-Man PS4 Review: Amazing Fantasy". GameSpot. CBS Interactive. Archived from the original on September 22, 2018. Retrieved September 4, 2018. Trent, Logan (February 11, 2019). "Here Are Your 2019 SXSW Gaming Awards Finalists!". South by Southwest. Retrieved February 15, 2019. Tucker, Jake (September 7, 2018). "Marvel's Spider-Man Review". Shacknews. Archived from the original on January 1, 2019. Retrieved January 1, 2019. Tucker, Kevin (September 7, 2018). "Voice actors and cast in Marvel's Spider-Man". Shacknews. Archived from the original on October 2, 2018. Retrieved October 2, 2018. Tucker, Kevin (September 4, 2018). "Marvel's Spider-Man Review: Simply Spectacular". Shacknews. Archived from the original on January 1, 2019. Retrieved January 1, 2019. Valentine, Rebekah (August 21, 2018). "Microsoft's Moon Studios, Activision Blizzard stand out in Gamescom Awards". GamesIndustry.biz. Archived from the original on August 23, 2018. Retrieved August 23, 2018. Vasquez, Suriel (November 17, 2018). "CBS To Air Fan-Voted 'Gamers' Choice Awards' Next Month". Game Informer. Archived from the original on November 18, 2018. Retrieved January 26, 2019. Wales, Matt (October 16, 2018). "Insomniac shows off Spidey's new suits from next week's The City That Never Sleeps DLC". Eurogamer. Archived from the original on November 23, 2018. Retrieved November 23, 2018. Watts, Steve (December 21, 2018). "Marvel's Spider-Man: How Insomniac Spun Its Web". GameSpot. Archived from the original on January 17, 2019. Retrieved January 17, 2019. Watts, Steve (July 2, 2018). "Resident Evil 2 Wins Top Honor In E3 Game Critics Awards". GameSpot. Archived from the original on August 3, 2018. Retrieved October 6, 2018. Wen, Alan (August 2, 2018). "Marvel's Spider-Man hands-on – Mary Jane stealth sections, Peter Parker puzzles, and flipping through New York". VG247. Archived from the original on January 15, 2019. Retrieved January 15, 2019. "WGA Awards: Full List of Nominations". The Hollywood Reporter. December 6, 2018. Archived from the original on January 25, 2019. Retrieved January 25, 2019. "2019 Writers Guild Awards Screenplay and Videogame Writing Nominations Announced". Writers Guild of America West. January 7, 2019. Archived from the original on January 11, 2019. Retrieved January 11, 2019. Whitbrook, James (November 22, 2018). "Spider-Man's Latest DLC Sells Its Fascinating Ideas Short". io9. Archived from the original on November 23, 2018. Retrieved November 23, 2018. Whitbrook, James (September 4, 2018). "Marvel's Spider-Man Understands the Amazing Fantasy of Becoming Peter Parker". io9. Archived from the original on January 15, 2019. Retrieved January 15, 2019. Williams, Mike (September 27, 2018). "Why Spider-Man PS4 Fans Should Pick Up Spider-Geddon #0". USGamer. Archived from the original on October 20, 2018. Retrieved October 20, 2018. Williams, Mike (September 27, 2018). "Marvel's Spider Man Review". USGamer. Archived from the original on January 6, 2019. Retrieved January 6, 2019. Williams, Mike (November 20, 2018). "Spider-Man: Turf War DLC Review". USGamer. Archived from the original on November 23, 2018. Retrieved November 23, 2018. Wood, Chandler (September 12, 2018). "Composing Peter Parker – The Music of Marvel's Spider-Man with Composer John Paesano". PlayStation Lifestyle. CraveOnline. Archived from the original on January 16, 2019. Retrieved January 16, 2019. Workman, Robert (December 20, 2018). "'Marvel's Spider-Man' Becomes Fastest Selling Superhero Game of All Time". Comicbook. Archived from the original on December 22, 2018. Retrieved December 22, 2018. Yin-Poole, Wesley (September 8, 2018). "Spider-Man PS4 continues the trend of useful accessibility options in video games". Eurogamer. Archived from the original on January 8, 2019. Retrieved January 8, 2019. Yin-Poole, Wesley (October 20, 2018). "Insomniac has the last laugh on Spider-Man PS4 "puddlegate"". Eurogamer. Archived from the original on January 24, 2019. Retrieved January 24, 2019. Wikimedia Commons has media related to Marvel's Spider-Man.